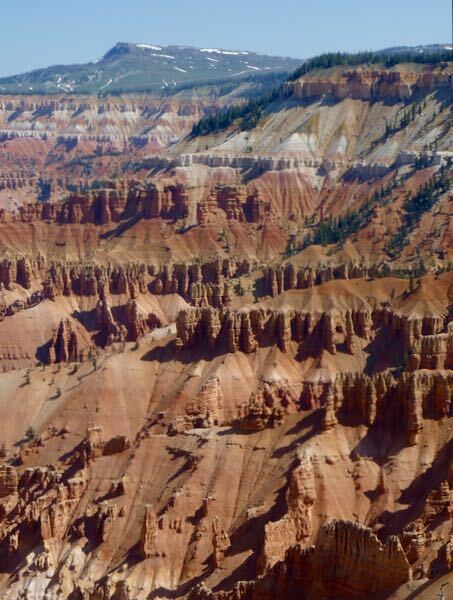 Cedar Breaks National Monument was a park I long wanted to visit. At over 10,000ft elevation it promised to be a cool place. 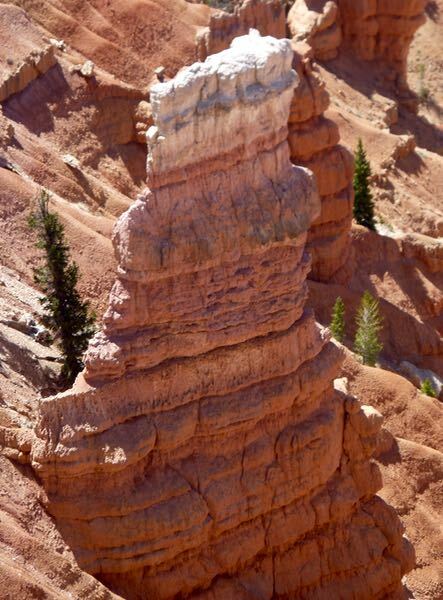 The sign by the Visitors Center said “Two Miles High”. I was not disappointed. 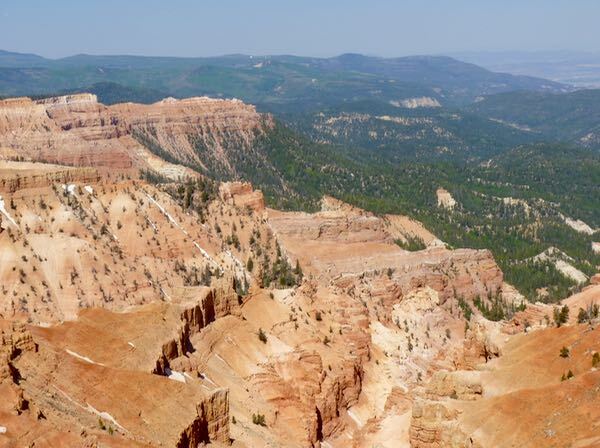 Canyons of rugged rock formations spread out from the several viewpoints. 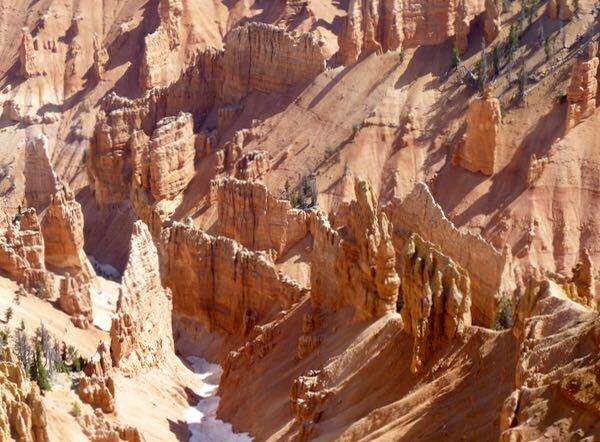 Some had marvelous towers, others had steep cliffs, and most provided expansive vistas. All of them were beautifully colorful. 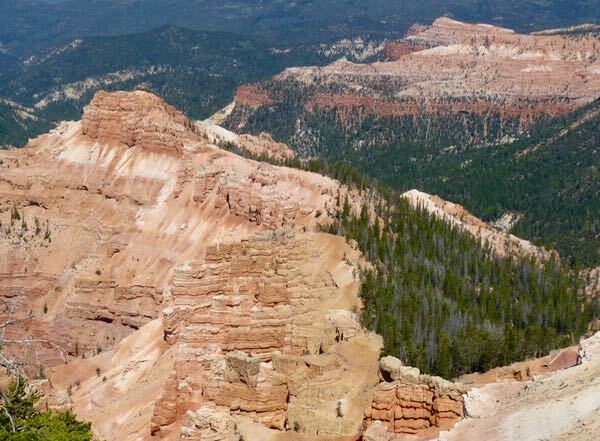 Look carefully in some of the photos to spot snow patches. Most trails were closed because of snow and fallen trees that had not yet been removed. 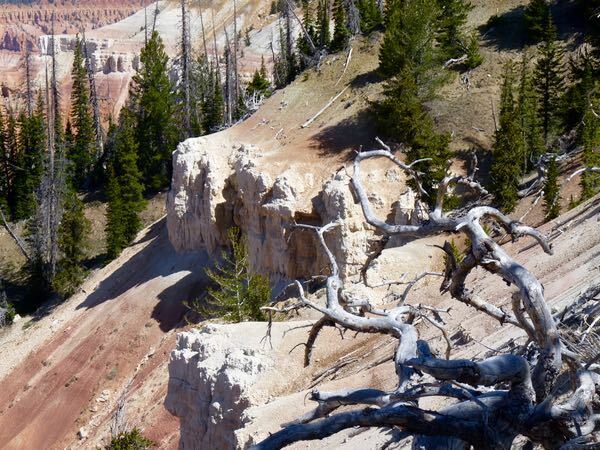 Many of those skirted the canyon rim; so, the safety concerns were real. It was a bit chilly and windy up there, but so glad I finally got to see the Breaks. Although I didn’t stay for long, it was a great visit. I loved that park, too. I’m glad you got to visit it. Doesn’t look at all crowded. Did you see the eclipse today! Thanks for your postings. 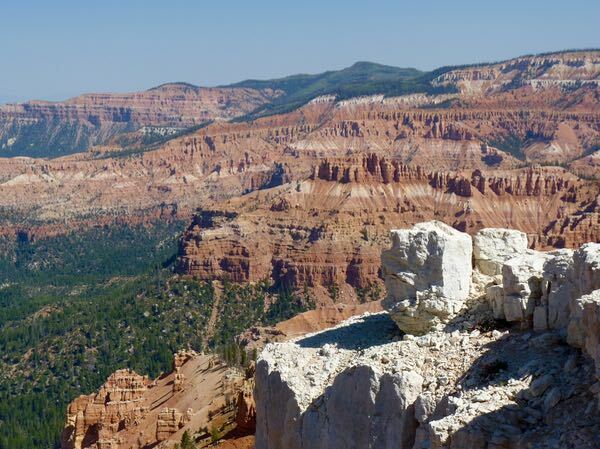 There were very few visitors at Cedar Breaks, perhaps because it is a bit off the beaten path. Had total cloud cover today where I am; so, the eclipse was not visible. WOW thank you for taking me where I cannot go. It is beautiful. Glad you enjoyed the post Barney. Enjoy yourself in Gavinland.